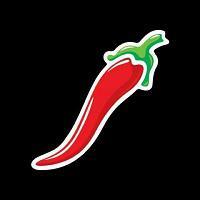 The hottest brand in Brazil today, Chilli Beans was founded in 1998 by Caito Maia, a young musician from São Paulo. Specializing in sunglasses and accessories, the brand became widely known for its spicy, fashionable attitude. From there, the brand grew in a fashionable speed, quickly resulting in international expansion. Since 2012, Chilli Beans has grown from 400 to over 600 stores worldwide, becoming the largest accessories franchise in Latin America, with locations in Brazil, Colombia, Mexico and Peru, Europe (Portugal), Asia (Kuwait) and North America (United States). With a focus on fashion trends with reasonable prices, Chilli Beans’ philosophy is straightforward: changing our sunglasses and watches as often as we change our outfits. That’s the reason why the brand releases weekly (yeah, every single week!) original styles of sunglasses, watches and optical frames.